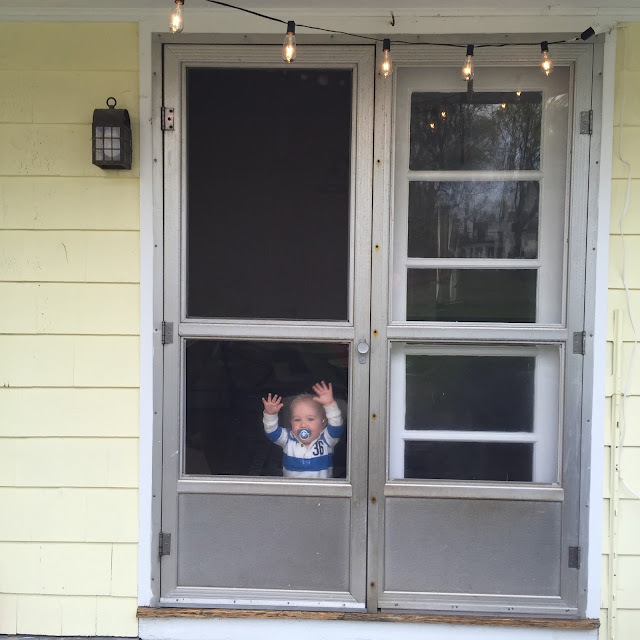 Following the Walkers: On the back porch. 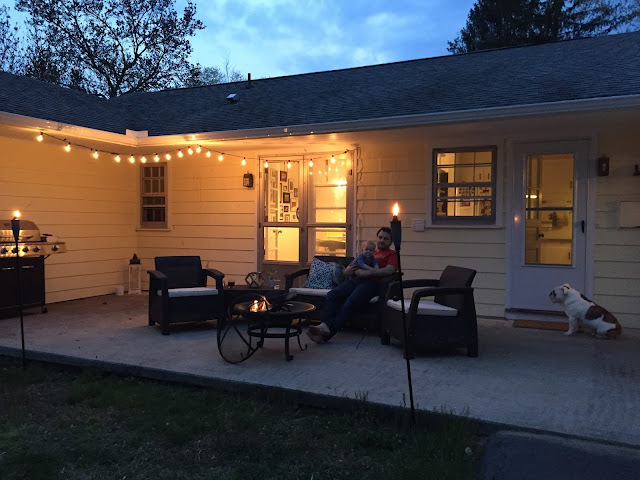 We won't live in our little yellow house forever (kind of breaks my heart), but while we do, I'm planning to spend every mildly warm evening on our back porch. 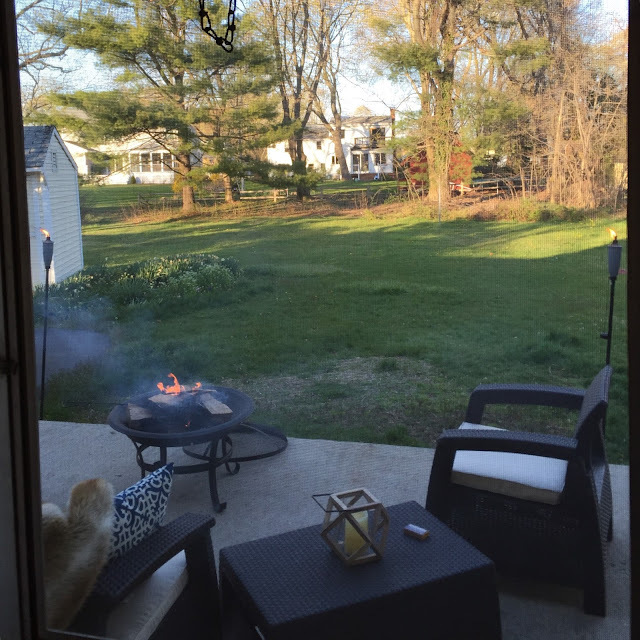 After spending so much time on the porch of the house where I grew up, it feels like a rite of passage to have our own outdoor space. With a fire pit and string lights, to boot! Home Depot loves us right now. LOVE LOVE LOVE. We're house hunting now and I desperately want a little area like this.